Oct. 2nd-Brunch with Ciro Rodriguez @ the Harlandale Civic Center, 115 Southcross. Oct. 6th-Fundraiser for 379th District Judge Ron Rangel from 5:30-7:30 p.m. @ Landry's on the Riverwalk, 517 N. Presa. Oct. 6th-Fundraiser for 4th Ct. of Appeals Justice Rebecca Simmons @ the home of Ed Whitacre from 5:30-7 p.m.. Contact Janelle MacArthur @ 699-1925. Oct. 13th-Save the Date for Judge Renee McElhaney @ Clint Lawton's house, 505 Belnap Place. Tickets: $100. Oct. 14th-Judge Andy Mireles Charity Golf Tournament @ Hyatt Hill Resort. Dinner @ 6 p.m.
Oct. 14th-Bexar County Democratic Party Dinner @ La Villita Assembly Hall for 6 p.m. Reception. Dinner from 7-9 p.m. Call: Choco Meza @ 273-8783. Oct. 15th-You and your guest are cordially invited to attend the City of Somerset's Dignitaries Breakfast featuring Kim's Catering @ Somerset City Hall, 7360 East 6th Street in Somerset, Saturday, @ 9 a.m.
Oct. 18th-Fundraiser for Congressional candidate Roger Williams @ the Giraud Club, 707 N. Mary's from 11:45 a.m.-1 p..m. with guest Coach Bobby Knight. Oct. 20th-Fundraiser for judicial candidate Kevin O'Connell for 175th District Court @ the Quarry Hofbrau, 7310 Jones Maltsberger @ 5:30 p.m.
Oct. 20th-Howegrown Fest from 6:30-10 p.m. Koehler Pavilion, Brackenridge Park, 3700 N. St. Mary's. Oct. 19th-Steve Salyer for SBOE District 5 from 6- 8 p.m. @ the Olympia Neighborhood Association in Universal City. Call: 834-3755. Oct. 24th-Paws on the Patio, Save the Date, sponsored by the San Antonio Humane Society from 4-8 p.m. at Canyon Cafe in Alamo Quarry Market. Oct. 27th-Republican Party Biennial Judicial candidates petition signing party from noon-7 p.m. @ Aggie Park, 6205 West Ave.
Nov. 3rd-Fundraiser for judical candidate for the 37th District Court Art Rossi @ the Petroleum Club, 8620 N. New Braunfels, on the 7th Floor. 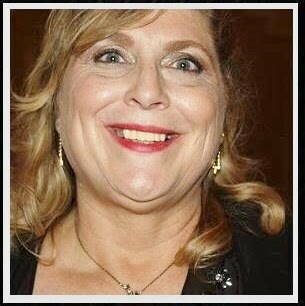 Nov. 5th-Save the Date for Judge Renee McElhaney Fun Night. More info to come. 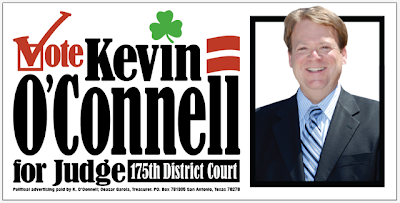 Fundraiser for judicial candidate Kevin O'Connell for 175th District Court, October 20th @ 5:30 p.m. @ the Quarry Hofbrau & Beer Garden, 7310 Jones Maltsberger. For information about levels and contributions, please contact Anne Witington at 210-861-4665. Homegrown Fest, Thursday, October 20th, from 6:30-10 p.m.
3700 N. St. Mary's St. Requested contribution of $50 per individual. Questions? Call 512-382-0357 or e-mail stephanie@mikevillarreal.com. Walker Report did it! We just hit the million mark @ 6:59 a.m.
Walker Report did it!!!! At 6:59 a.m., September 30th, 2011 we achieved the goal of hitting one million hits on the blog. The ultimate goal and now on our way to two million. Since inception we have covered seven presidential candidates, (President Barack Obama) (former President Bill Clinton) Congressmen, Senators, (Senate Majority Leader Harry Reid) famous persons, the Spurs last championship covering every Spur at the time, community news, religious events (National Day of Prayer) and so much more. Even retired LA Laker Magic Johnson showed up on the blog on a visit to San Antonio! The list reads like a who's who of important people as well as the common folk. Names like Joe the Plumber, former Mexico President Vicente Fox, actors and actresses, American Idol participant Haley Scarnato, former Speaker's of the House Nancy Pelosi & Newt Gingrich, & the like. Photos all taken by Walker Report. We finally did it!!!!!!! 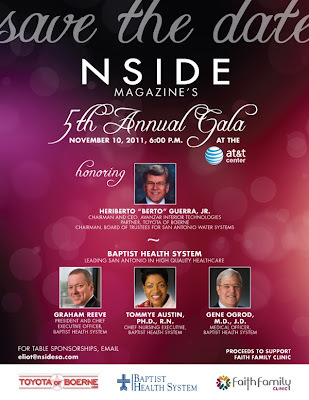 Tuesday, October 18th from 11:45 a.m. – 1 p.m.
NSide Magazine's Fifth Annual Gala, November 10th @ the AT&T Center @ 6 p.m. honoring Heriberto "Berto" Guerra. 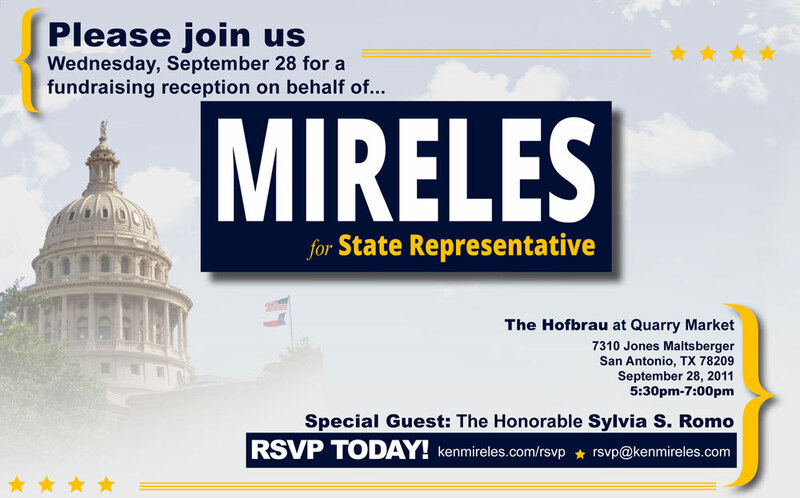 San Antonio, Texas -- Bexar County Tax Assessor-Collector Sylvia S. Romo, CPA, RTA, announced today that she is endorsing Ken Mireles for the Democratic nomination in the 117th House District. "I've known Ken Mireles for a long time. He has integrity and I trust his judgement. As a former state legislator myself, I know he'll be effective," said Romo. Romo is the only countywide Latina elected executive in Bexar County and has accumulated a long list of accomplishments throughout her nearly 20-year career in the legislature and the county. Marcus Cardenas, District 19 State Democratic Executive Committee Member, also endorsed Mireles today. "Ken's professional background and public service experience are exactly what we need right now in the state legislature," said Cardenas. "The people of District 117 will finally have a representative who's on their side and who will put forth legislation to help our working families, students, seniors and vets." Romo and Cardenas join Councilman Rey Saldana, who endorsed Mireles last month, in strongly supporting his candidacy for the Texas House of Representatives, District 117. The Bexar County Young Republicans hosted New Braunfels Commissioner Greg Parker @ Julian's Pizzeria on West Ave. September 27th. 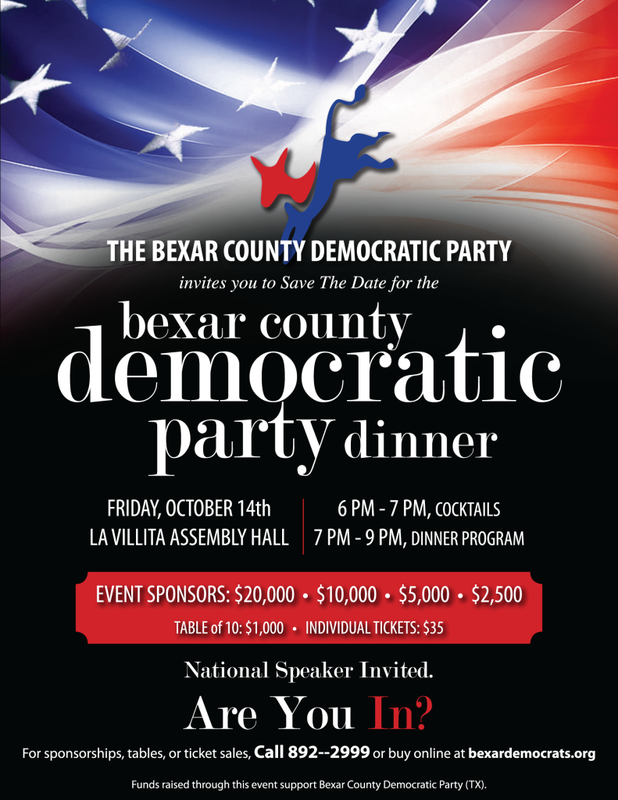 The Bexar Democratic Party invites you to Save the Date for the Bexar Democratic Party Dinner, Friday, October 14th @ La Villita Assembly Hall from 6-7 p.m. Reception and Dinner from 7-9 p.m. Event Sponsorships available. 892-2999. San Antonio - State Rep. Joe Farias (D - San Antonio) announced on Monday that he plans to run for reelection to the Texas House of Representatives in 2012. The announcement is made to dispel any rumors that he is retiring. “I am pleased to announce that I will be running for reelection to the 118th House district to represent the people of Bexar County in the Texas House of Representatives." “The 118th district is comprised of a wonderfully diverse array of communities, from Southern Bexar County to Northeast Bexar County and important centers of education and military like Texas A&M San Antonio and Randolph Air Force Base. I am excited to have the opportunity to once again represent the hardworking people of these wonderful communities." “Our state faces many challenges today and the people of Southern and Northeastern Bexar County know that we all need to come together to meet them. Right now, I am focused on the job my constituents have elected me to do – like getting our economy fully restarted, improving our children's education opportunities, and protecting veterans and their families." "I have a record of accomplishment that I believe reflects the common sense values of the people of Bexar County, and I will continue to work hard to meet the needs of my constituents and of all Texans." For more information, please contact Julianna Gonzaba at 210-831-3214. 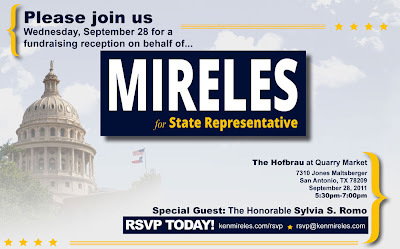 Please join us Wednesday, September 28th for a fundraising reception for Ken Mireles for State rep. District 117 @ the Hofbrau @ Quarry Market, 7350 Jone Maltsberger from 5:30-7 p.m. In week 16 of “Ask the Judge” I pointed out that nearly every week in Justice of the Peace Court, Pct. 2, a tenant is locked out of their commercial business or house/apartment by an irate landlord. As of late, more and more landlords are arbitrarily locking out tenants without warning or pre-notice. This is disturbing that the landlords are not following procedure. In normal circumstances the law tends to favor the landlord over the tenant, although tenants do have rights which many exercise. In most cases the landlord has just cause to do so when the tenant fails to pay their rent and the landlord wins a repossession/judgment against the tenant in eviction court and an appeal has not been filed within five days to the county court. One of the biggest problems for tenants is failure to show up for court after being served. In that case it is ruled an automatic default. Other times the tenant does show up and still loses when it is proven they did not pay the rent or broke the lease in some way. As previously stated, the defendant can file an appeal to the county court within the time restrictions. If the eviction is based on a breach of contract and not rent, the landlord must have legal representation, whereas failure to pay rent does not require the landlord to hire an attorney. In that particular situation the landlord can represent himself/herself in the case. Remember Justice of the Peace Court is still a People’s Court where anyone can represent themselves. Landlords need to understand under the law that they like the tenant have to adhere to the provisions of the lease or agreement that both parties agree to and sign when the tenant moves into the property. 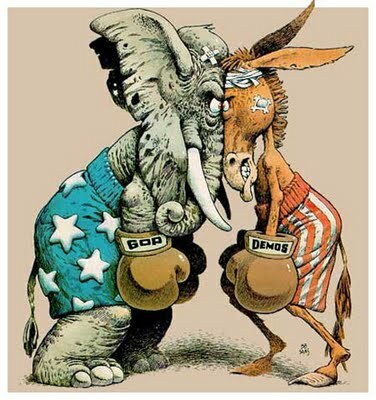 If either party fails to uphold the written contract, if there is one, (verbal is acceptable as long as both agree on the terms) either side can take legal steps to remedy the problem. It can not be stressed enough that arbitrarily locking out the tenant is not justified at any time and can cause the landlord to find him/her being sued in small claims court for damages. When the aggrieved tenant finds himself/herself locked out of their personal or residence or business and wish to fight it, they must request a hearing and file a writ of re-entry if they believe they were unjustifiably or erroneously locked out from the property. They must diligently fill out paperwork and must swear under oath that all information offered is true and correct. Lying or misrepresenting any information given can lead to fines or incarceration for contempt of court. When unable to pay the filing fee, the tenant may also file a Pauper’s Affidavit if they can prove financial inability to do so for the writ of re-entry. 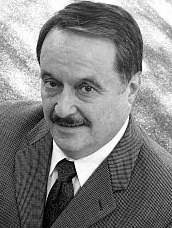 Landlord’s on the other hand, are allowed to challenge the tenant’s claims of pauper status in an additional hearing at a later date with the assistance of an attorney. Remember these tips when coming to court. Justice of the Peace, Pct. 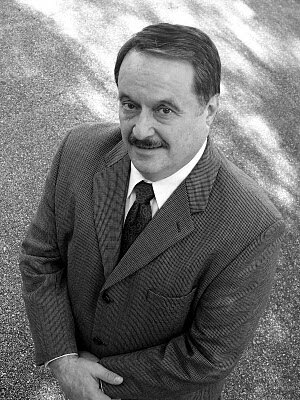 2 Steve Walker is a Vietnam Veteran and a former Journalist. More photos of the Stonewall Annual Gala @ the Hilton Palacio Del Rio Hotel, September 24th.